Only 12 hours after creator Rob Thomas and star Kristen Bell kicked off their Kickstarter campaign in a last ditch effort to give fans a Veronica Mars movie, the project was greenlit by Warner Bros. executives with the price tag of $2 million paid-in-full. A little over a year ago I wrote a feature titled ‘Is A Veronica Mars Movie In The Cards?‘ because just like thousands of fans, I was touched by the uniqueness of the short-lived series. When it was cancelled after season 3 without notice, there was always a lingering sense of it being incomplete. Thomas tried to give fans a little of what they were missing by releasing a clip from what would have been the season 4 premiere, but nothing could give fans the closure they wanted. After six years of waiting, jumping at every hopeful Tweet, printed comment, and interview remark from the cast and crew, a Veronica Mars movie is not only in the cards, but in the near future. Yesterday, Thomas and Bell took a long shot and asked fans to rally behind the project. Although $2 million dollars was the highest goal ever set for a Kickstarter campaign, the duo believed that in a period of 30 days enough fans would see its merit and help them show the studio that not only do Veronica Mars fans still exist, but that they were willing to put their money behind their mouths and pay to make this movie a reality. The campaign is only on day 2 out of 30 and has already broken the three million mark with close to 48,000 donors. Although the donations will start to slow down eventually, it looks like Thomas and Bell will end up with more than enough to give fans what they deserve. Warner Bros. has confirmed that they have officially greenlit the project, although according to The Wrap they will not be not be providing any additional funding to make it happen. Yet, Warner Bros. Digital Distribution will be responsible for all marketing and distribution costs, which isn’t necessarily a cheap venture. 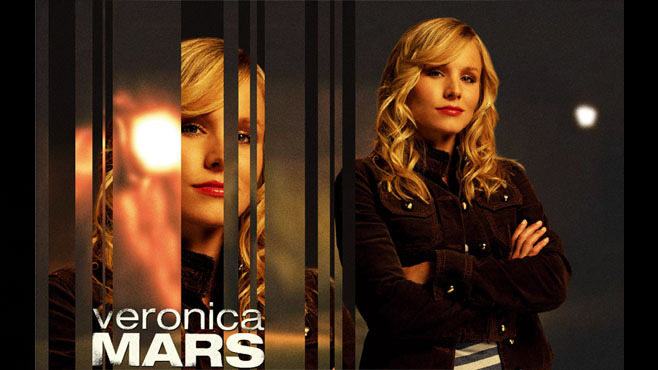 Production for the Veronica Mars movie will take place this Summer and the film will likely be released in early 2014. I was more than happy to donate my hard earned money to see a Veronica Mars feature film happen, what did you think of this unusual marketing tactic though? Let us know in the comment section below if you donated to this cause!